And, of course, cost. Can they afford to live there? Starting this month, those interested in learning more about living at Kendal at Oberlin can fill out a simple and quick seven question online evaluation to see if the community is a good financial fit. No personal information is required to use Kendal’s financial calculator called MoneyGauge, and there is no need to root through files for detailed financial information. The financial questions are general. For instance, what is your approximate retirement savings within a range of $50,000? Plus, the results are delivered in just a couple of minutes. Potential residents receive a preliminary look at what kind of housing, if any, they can afford. The tool is a guide, not a guarantee of financial approval. Kendal is one of 11 life plan communities in the United States participating in a pilot study of the calculator. 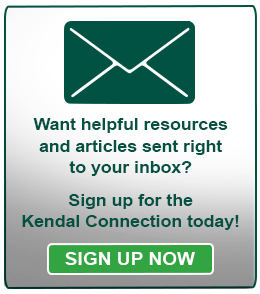 One other Kendal affiliate, Kendal at Granville, is also involved. Brad Breeding, President and Founder of myLifeSite™, said the company developed the tool to help guide consumers early on in their journey of selecting a life plan community. “We've found that many potential residents of continuing care retirement communities want to gain a level of clarity fairly early in the research process about how well their finances potentially align with the cost of various residential options available. It doesn't make sense to invest a lot of time and effort into other aspects of the decision to ultimately find out that it isn't the best fit financially. 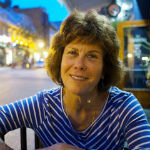 Maggie Stark, Kendal at Oberlin’s Director of Admissions and Marketing, says she is excited to be able to offer such a helpful tool to those interested in moving to Kendal. 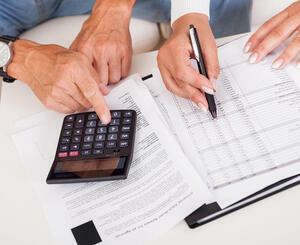 "The financial calculator is a quick and easy tool to use. And although it does not give a complete financial overview nor can it approve one financially, it CAN be used as a quick gauge to see what options might be affordable," Maggie says. MyLifeSite plans to gather data from the 11 pilot sites and launch the tool nationwide later this year. Curious about your affordability assessment? Give our financial calculator a try by clicking here. If you are looking for an active and vibrant retirement community that offers many educational, recreational and social activities, Kendal at Oberlin may be the place for you. We offer independent living spacious cottages and apartments. As a CCRC (continuing care retirement community) we also offer assisted living, skilled nursing, short-term rehabilitation and memory care all on one campus. If you would like to learn more about Kendal at Oberlin, our lifestyle and our living options, request a brochure or come see us in person by scheduling a tour.